Following its first successful funding on Kickstarter in 2016, the Swedish micro-brand is back with a more upmarket offering. 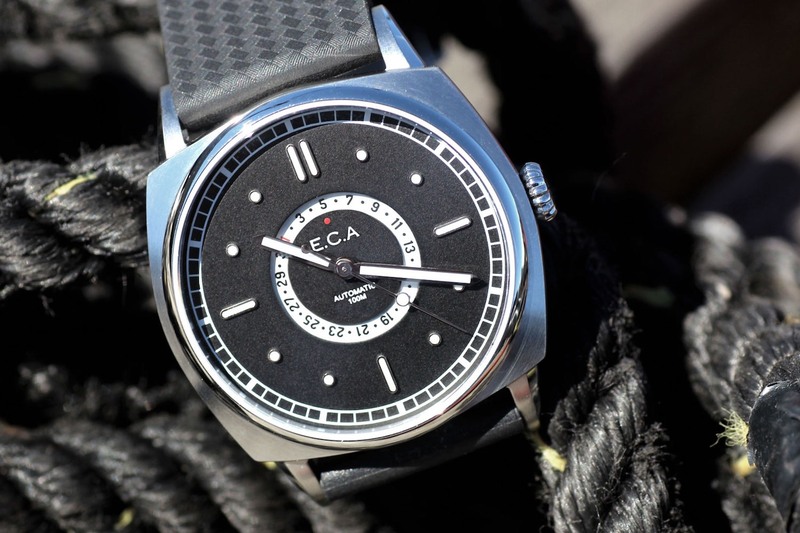 A few months back, we got our hands on the North Sea II, the primary watch from Swedish micro-brand E.C. Andersson. 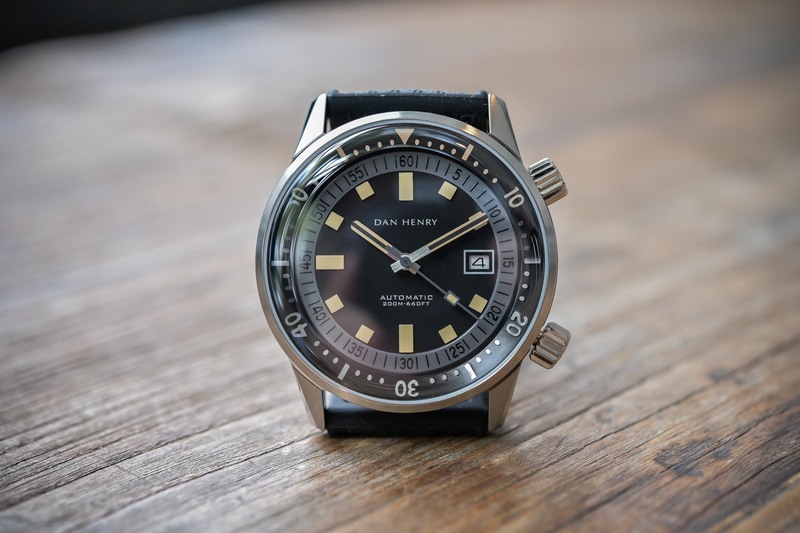 A robust and attractive watch, it was itself based on the original North Sea, the first model of the brand, which it had successfully funded on Kickstarter in 2016 and then quickly sold out of. Now, the company is back with their next model, the Calypso, the production of which it is also funding on Kickstarter. 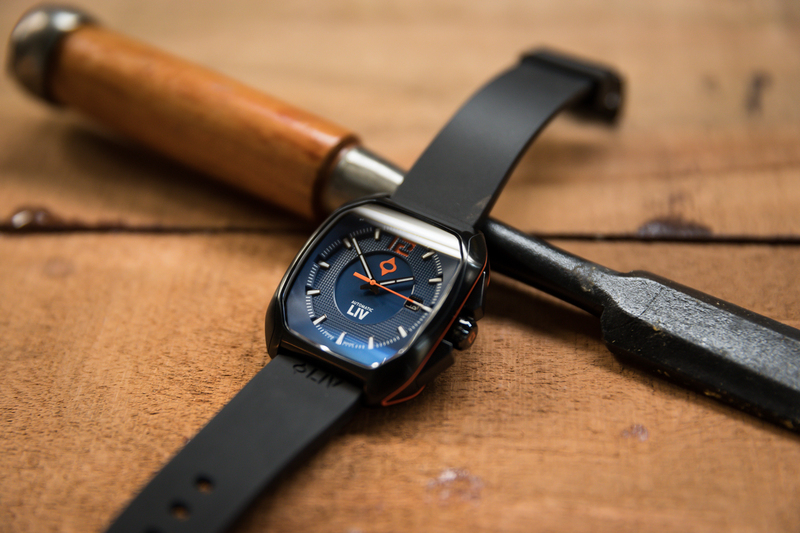 Described by the brand as their first “true high-end watch”, it has already reached its funding goal with 15 days still to go. We decided to take a closer look to see what all the fuss is about. 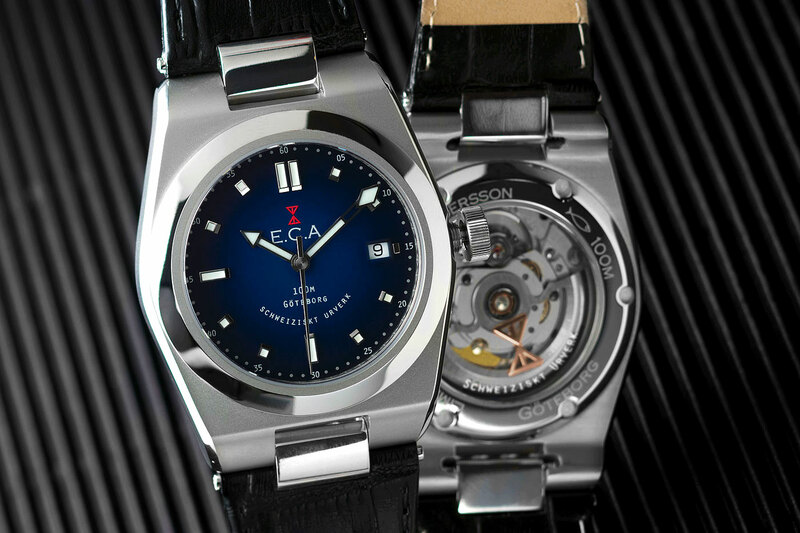 As you might recall, the North Sea II and the North Sea both feature something of a robust, industrial look and feel. 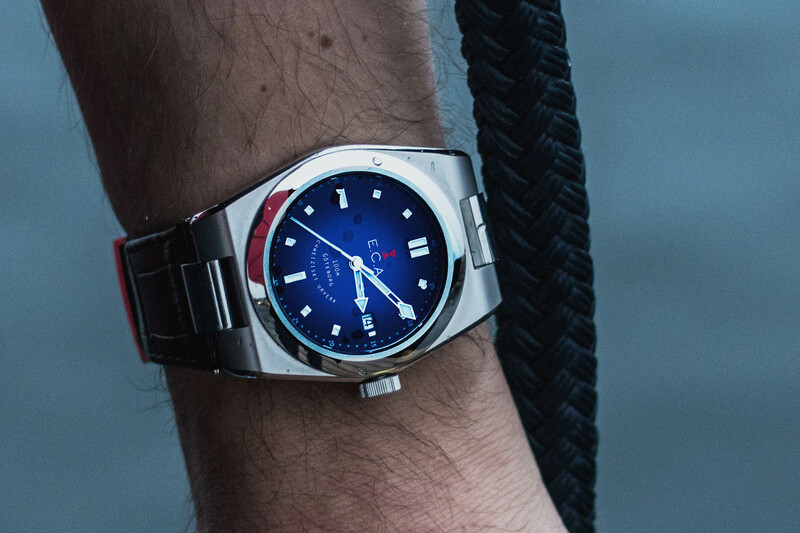 This tied in nicely with the military/marine-inspired theme and gave the watches an attractive yet minimalist appeal, very Scandinavian in its design. The Calypso continues in that same vein to some degree but it’s obvious from first glance that E.C. Andersson are attempting to create something a little more luxurious. Not a luxury watch per se, but a watch with some nice extra touches and a real attention to detail when it comes to finishing. 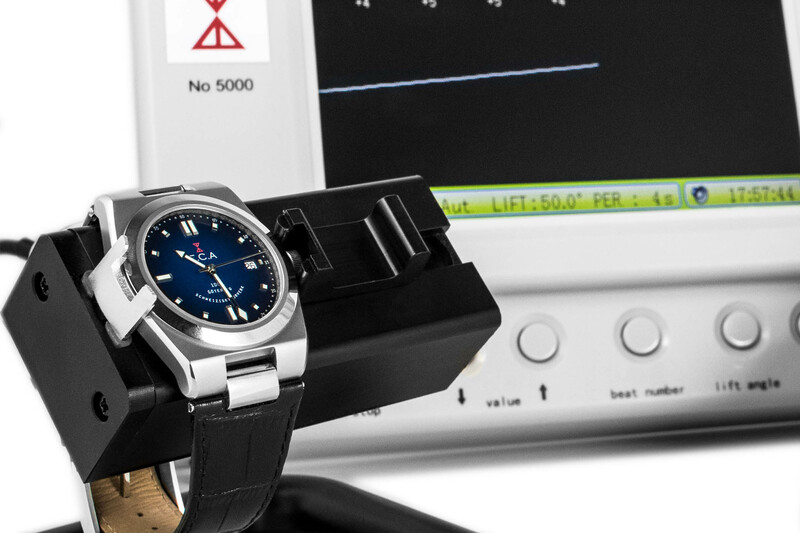 The most obvious first example of this can be seen in the new, sporty yet stylish-looking case, which measures 40mm x 10mm and is made from sandblasted 316L stainless steel. The bevelled edges have been mirror-polished from lug-to-lug, as has the bezel framing the dial, giving the watch a certain sense of class that would be otherwise absent and making it just that little bit more versatile for day or night wear. 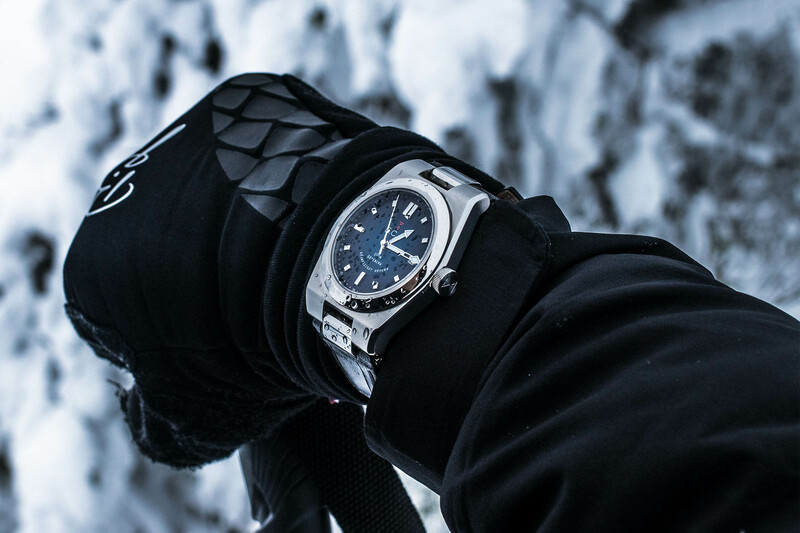 As with the brand’s earlier models, however, there is still a focus on robustness and practical functionality, with a water resistance rating of 100m made possibly by a solid screw-down crown, and thick sapphire crystal glass on the top and bottom of the case. Likewise, the new gradient dial also has more of an upmarket feel to it. A popular style these days, it seems, the color fades from deep to dark ocean blue with a semi-gloss finish. As a simple three-hander with a date display, the layout is pretty standard but again the attention to detail is evident in some of the smaller touches. For example, the inner ends of the applied polished hour indices have a fine bevelled edge which angles down nicely towards the dial, providing some added contrast and depth. Meanwhile, the brand’s signature “Enslinje-Pattern” is subtly engraved around the chapter ring. The time is indicated by central, arrow-shaped hands, which E.C. Andersson refers to as “Bohuslän” hands. 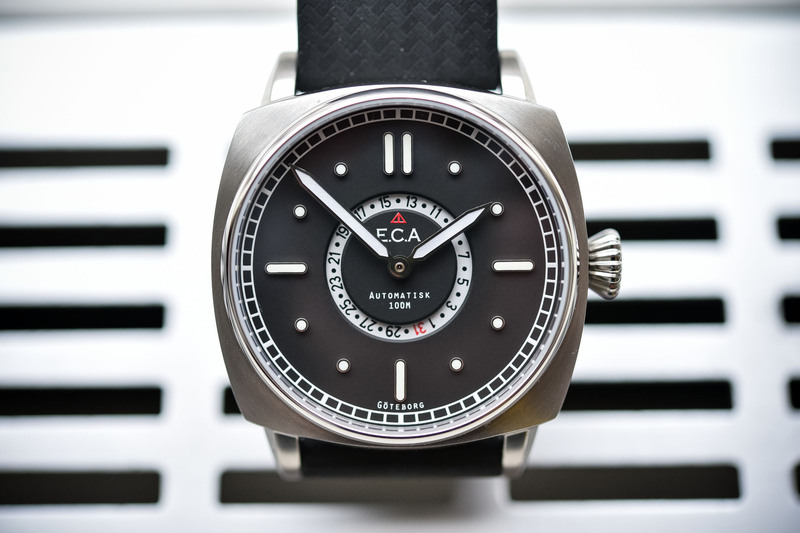 Apparently, this is because they were originally designed for the E.C.A Bohuslän watch, although they have been customized somewhat to suit the Calypso. The hour and minute hands, along with the hour indices, are filled with crisp white luminous paint, which glows ice-blue at night for easy reading in low light situations. At 3 o’clock, there is a date window cut in two layers. The date wheel is white, which may bother some people but at the same time, it does match with the white luminous paint on the indices and the hands. Inside is the Swiss ETA 2824-2 Top Grade automatic movement, a reliable workhorse equipped with an in-house designed rotor featuring E.C. 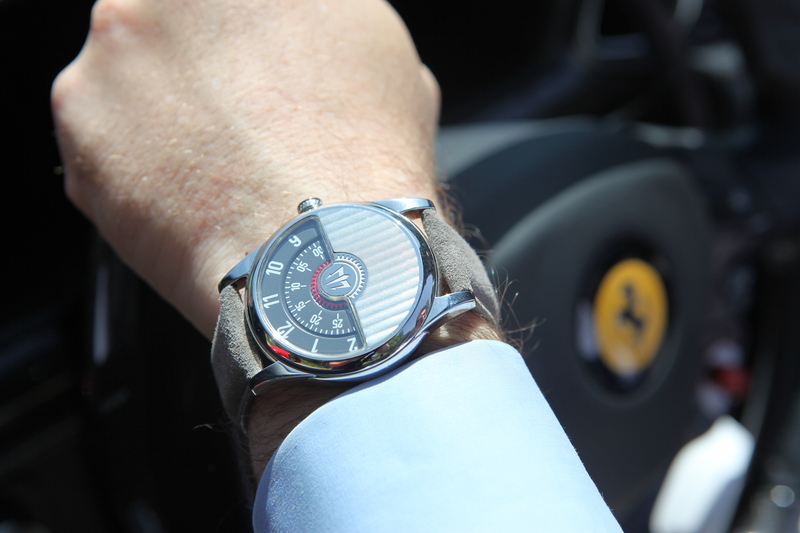 Andersson’s logo, which is visible through the sapphire caseback. This is a step up from the brand’s earlier models, which were powered by Japanese-made Seiko movements and the company has even taken it a step further by setting up its own E.C.A Performance Center. Effectively, this means they have invested in the tools required to measure things like amplitude, beats error, accuracy, magnetic and pressure resistance in detail and make adjustments where necessary. 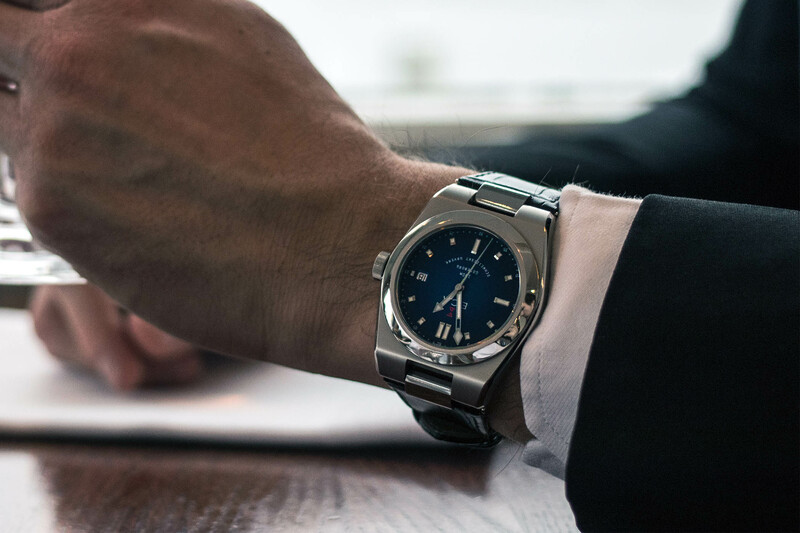 As such, each Calypso watch will come with a direct transcript print-out from the company’s Timegrapher, providing all the relevant details about your specific watch. All Calypso watches will initially come with a nylon activity strap, although there are other options such as a calf-leather strap with faux, wide-grained alligator leather texture as well as an all steel bracelet. The release of these it seems will be dependent on reaching certain milestones on the Kickstarter project, although it sounds like E.C. Andersson plans to make more strap options available when the watches go into production later this year. You’ll also notice that there is a polished steel link between the lugs and the strap. According to the brand, this ensures a secure fit thanks to the deep spring bar cut and screw-in bar but it’s worth noting that it also means you will not be able to use 3rd party straps on this watch. At this stage, it is still possible to make an early bird pledge for the Calypso for SEK 9,000 (approx. EUR 915), which is quite discount on the final expected retail price of SEK 15,000 (approx. EUR 1,525). It’s a big price jump compared to the North Sea II, which retails for EUR 609, and so it will be interesting to see the response. So far it seems very positive. Check out the Kickstarter project for all the details. 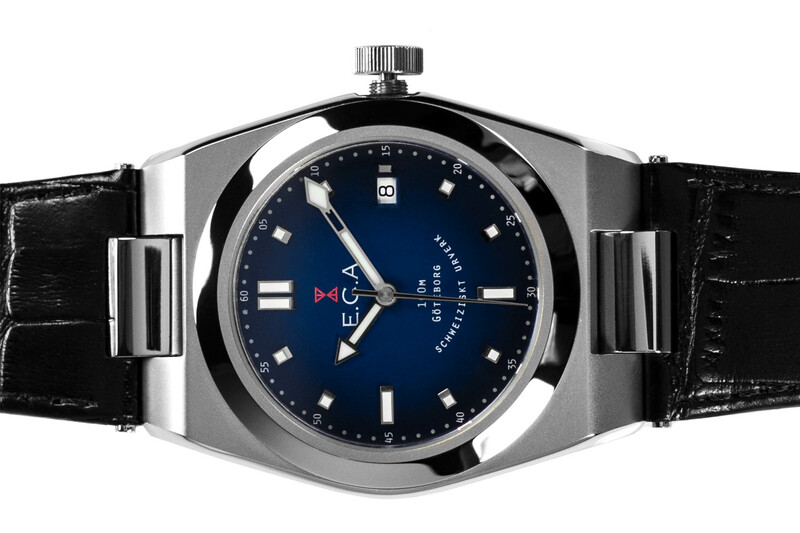 Case: 40mm diameter x 10mm height - sandblasted 316L stainless steel case with polished bevels and nylon activity strap - sapphire crystal on both sides - 100m water resistant. 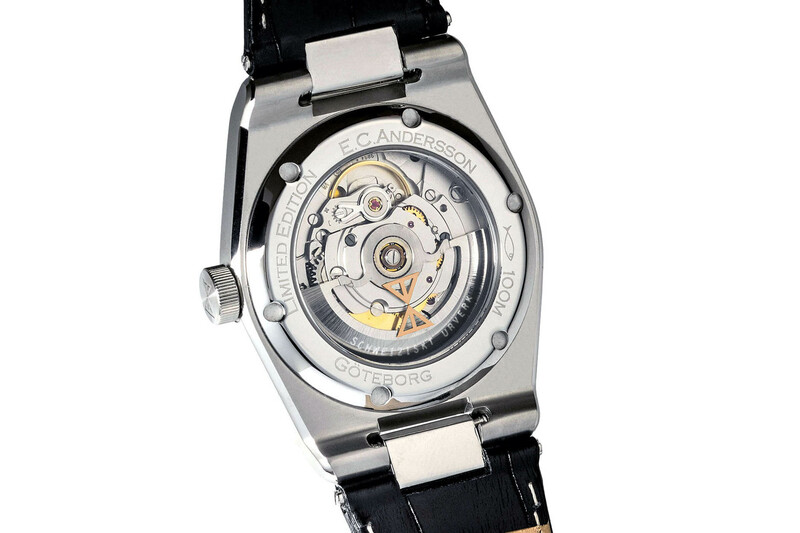 Movement: ETA 2824-2 Top Grade automatic movement - custom rotor - hours, minutes, seconds, date. 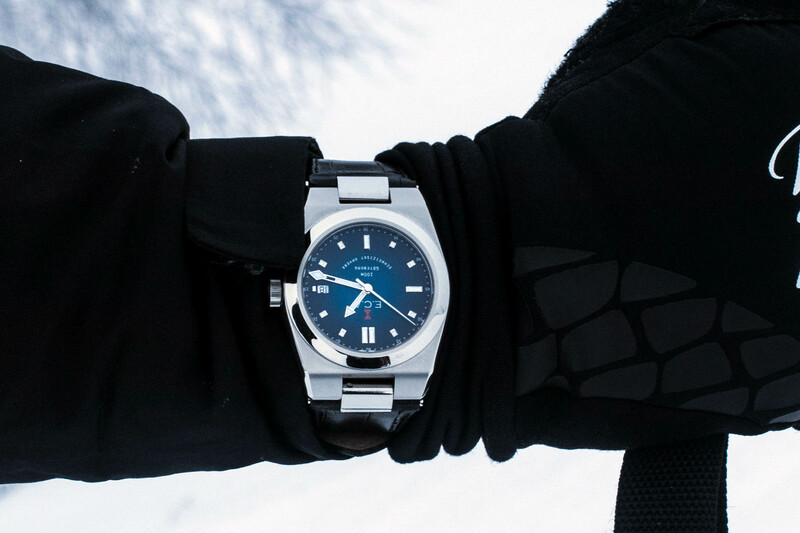 Dial: Blue dial, gradating outwards from light to dark, steel applied polished hour indices with fine bevelled edge, “Bohuslän” arrow-shaped hands, white luminescent coating glowing ice blue. Availability: Available for pre-order now on Kickstarter. Price: Approx. EUR 915 (pre-order) / approx. EUR 1,525 (full retail). Interesting watch. I sure wish when you review a watch you would include the important lug to lug length as that is a better indicator of the fit on the wrist then just the case size. Thank you. This looks really nice. Fresh without going over the top and the specs are better than many a so-called “prestige” watch. I would love to see one in person. And fantastic value. Well done them!